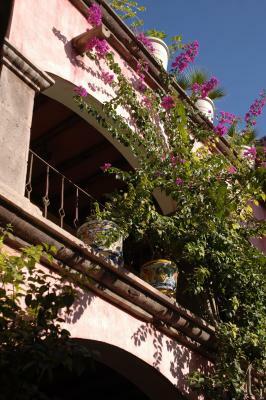 Lock in a great price for Posada de las Flores Loreto – rated 8.1 by recent guests! Staff was super nice and helpful. Setting was amazingly authentic to Mexico. Beautiful courtyard interior. 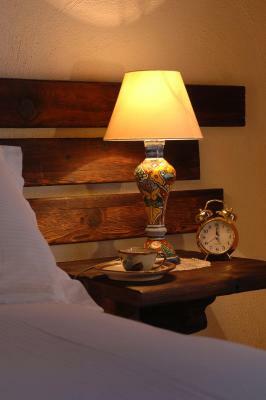 Rooms are well decorated and comfortable. Central location, very comfortable room. All hotel staff were exceptional- very friendly and helpful. Beautiful decor, clean, and located on the square. Lovely roof top pool and terrace. I left my reader tablet in my room accidentally, the cleaning person found it, the staff called and informed me of this. 눇This property couldn't be in a more perfect spot if you love cultural travel and want to get a feeling for the warm, honest, down to Earth, lovely people of this small village. It sits right over the square where everyone comes to gather and visit. It is within walking distance of everything. Nearby restaurants are plentiful and delicious. There are 15 rooms in this hotel, be sure it get one with a view of the square. They are called junior suites. Some rooms have no windows. There is a pool on the roof that is amazing. Free breakfast on the roof patio is also a delectable pleasure. A nice hotel. Very quiet when we were there. Very pleasant rooftop seating area with nice views and refreshing breeze. The bed was delightful, soft, fluffy, clean, perfect. The staff was very kind. They brought us a delicious Hibiscus tea upon arrival. It was very good that they turned the pool pump off when we were lounging on the roof. The roof is lovely. Breakfast there was so nice. It is definitely the most charming hotel in Loreto. 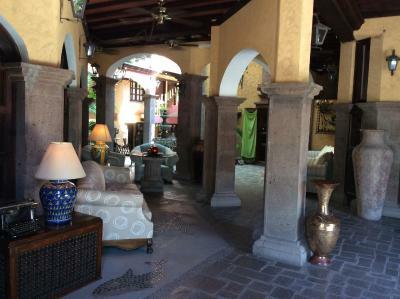 Hotel was beautiful, old world Spanish style right on the square. Staff very friendly. Room was traditional decor, a little dark, but you could walk outside and admire the view from the roof. A/C was great, plenty of hot water too! Pool on roof was a little cold ( we went in March) but would have been great if the weather was hot. Breakfast was fruit and toast/sweet bread and coffee, plenty to start the day. Too bad the roof restaurant is closed but hotel is close to restaurants and short walk to the beach. Would stay there again given the chance. The room itself was great, comfy bed. Hotel was beautifully decorated with charm. 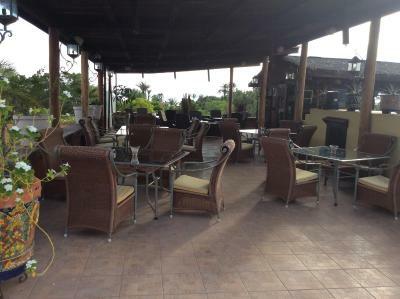 Posada de las Flores Loreto This rating is a reflection of how the property compares to the industry standard when it comes to price, facilities and services available. It's based on a self-evaluation by the property. Use this rating to help choose your stay! 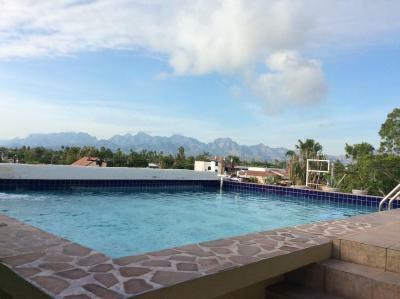 One of our top picks in Loreto.This beautiful hotel features a glass-bottom swimming pool on a rooftop terrace that overlooks the Sea of Cortés and the Giganta Mountains. The beach is only 650 feet away. 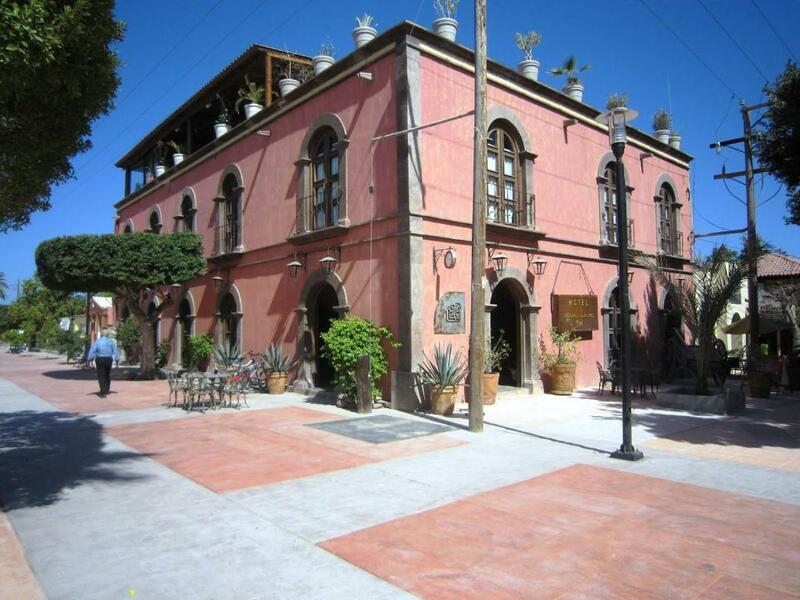 Posada de las Flores Loreto is located in the center of Loreto, next to the main square and the Misión de Nuestra Señora de Loreto Temple. 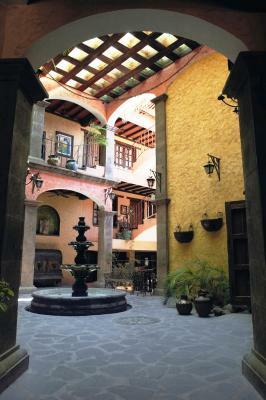 It features colonial Mexican décor with 18th-century furniture, talavera pottery and exposed beams. Spacious rooms at the Flores Loreto have air conditioning, satellite TVs and a private bathroom with free toiletries and a hairdryer. They also have a mini-bar, an icebox and a coffee service. Offering a free continental breakfast, this hotel welcomes guests with a cocktail upon arrival. 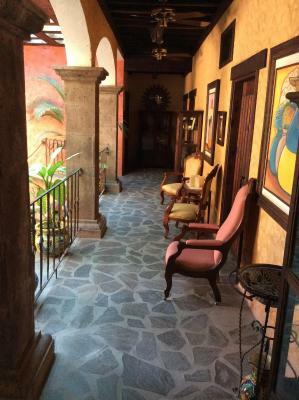 A tour desk, a massage service and free Wi-Fi are offered at the Posada. Loreto International Airport is 15 minutes’ drive. 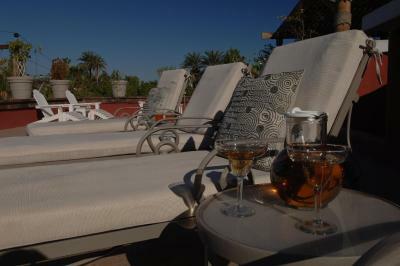 When would you like to stay at Posada de las Flores Loreto? 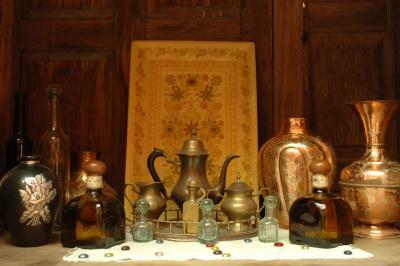 This air-conditioned room features colonial Mexican décor, with wooden 18th-Century furniture and talavera pottery. It comes with a satellite TV, a mini-bar, and a coffee service upon request. The private bathroom includes bathrobes, free toiletries and a hairdryer. 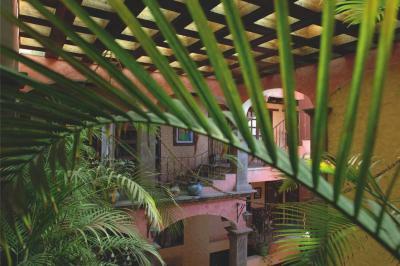 This more spacious, air-conditioned room features colonial Mexican décor and views of Loreto's main square. It comes with a satellite TV, a mini-bar, and a coffee service upon request. The private bathroom includes bathrobes, free toiletries and a hairdryer. House Rules Posada de las Flores Loreto takes special requests – add in the next step! Posada de las Flores Loreto accepts these cards and reserves the right to temporarily hold an amount prior to arrival. Please let Posada de las Flores Loreto know your expected arrival time at least 3 days in advance. You can use the Special Requests box when booking or contact the property. Please note that the reception desk is open from 07:00 to 23:00. Bed was hard. Curtains in the room were light and sheer and did not provide a dark room for sleeping. Room looked over the Town Square which was loud at times. The rooms are a little dark in their decor, but really nothing not to like about the hotel. Do not park in front of the elementary school. We got a ticket. Either it was lost in communication or they failed to inform us when we asked if it was okay to park there. No heater in rooms and hard bed. Heater is necessary during winter months at night. If you like a very firm bed, then it won't be a problem. Small things like more towel rails. My room only had one small one. Start breakfast earlier as an lot of guests do tours that leave early. Gorgeous charming colonial style hotel oozing with character. Bit of Fawlty Towers about the place but this adds to the quirkiness & charm. Like staying in a museum. Couldn't stop taking photos. Clean rooftop swimming pool, great views from rooftop, good breakfast. Excellent position on the Plaza. Nice touch with welcoming personalized plaque in room on arrival. Amiable helpful staff. Highly recommended. Lack of light in the bedroom (only one window with a view on the courtyard). weird color on the wall in the bedroom. Among the staff, one man is doing all the work and is kind. The others are not able to answer questions and are are lazy. Breakfast is ok but below expectations for the price. You can hear your neighbours and the noise from the town square because the entry doors are open until very late in the night. Perfect location and the rooftop + swimming pool. Loud church bells, every 15 minutes all night long, every night. No heat in room. Breakfast served outdoors and it very cold and raining and the roof leaking on our breakfast table. Nearby workers yelling at six in the morning every day. Pretty building and decoration, location. 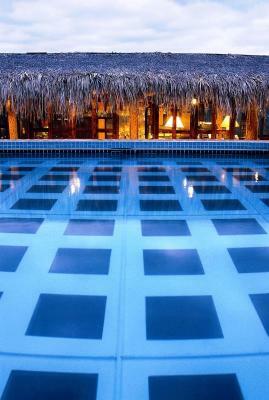 The staff on the front desk are trained to administer check-in and say “hola”’as you come and go. Anything beyond that appeared to be too much to ask. 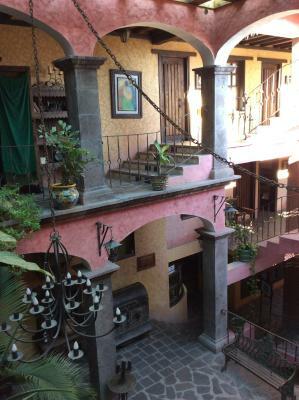 Hence the assertion that Posada de las Flores is more of a guesthouse than a hotel. We saw the manager once during our four night stay. He was indifferent to our feedback on how to avoid the frustration a number of guests felt about the service at breakfast (see below). The other two staff on the front desk kept a watchful eye on the front door but beyond that were inept as well as indifferent. Breakfast is ‘served’ at 8am every day. In reality the staff were still setting up beyond that time and the table service remained tardy throughout. This would be fine except for the fact that most tours / activities aim to start between 8am and 8:30. This is why all guests turn up for breakfast at 8 and we were were not the only ones to be frustrated by this or to have to call the tour company we wouldn’t be there until 9am. The breakfast was identical everyday. Any uneaten pastries get put back in a box and served again. One day a pigeon flew into the breakfast room (can happen) but the staff didn’t react. None of them moved to open more windows or to clear up the feathers from the table. The other table effected also got up and left their food and feathers. The room the children slept had much lower ceilings and was hot and stuffy (even in December). Great location in the heart of Loreto. The inner courtyard creates a cool and peaceful atmosphere. The roof top terrace is a nice place to hang out. The junior suite facing onto the square was a good size and had a rock solid mattress which we appreciated. The communication prior to arrival was easy and helpful (it turned out this person was in La Paz so not on the property). Not the hotels fault but Google maps did not direct us to the hotel. As is often the case the maintenance could be a little higher, but nothing that would be a complaint. The room with 2 singles was adequate in size but not at all generous. The junior suite room 300 was very nice. The location on the square is great for being in the centre of the town. The charm of the age of the place is great too. DO NOT use the shuttle service provided by the hotel. It is 52 dollars (one way) for two people to travel 4 or 5 miles, (7 minutes). A cab is 15 dollars. If there is a celebration or very occasional cruise ship visiting... the noise in the square can get loud. If you shut the gorgeous heavy colonial windows and turn on the air conditioner it drowns out the noise. It's a happy noise but can get loud. It's fun to watch the festivities in the square.